Work up a storm in these charcoal skinny jeans. Coming in a rise fit, with faux fur hem detailing, these beauts are perfect for the new season. 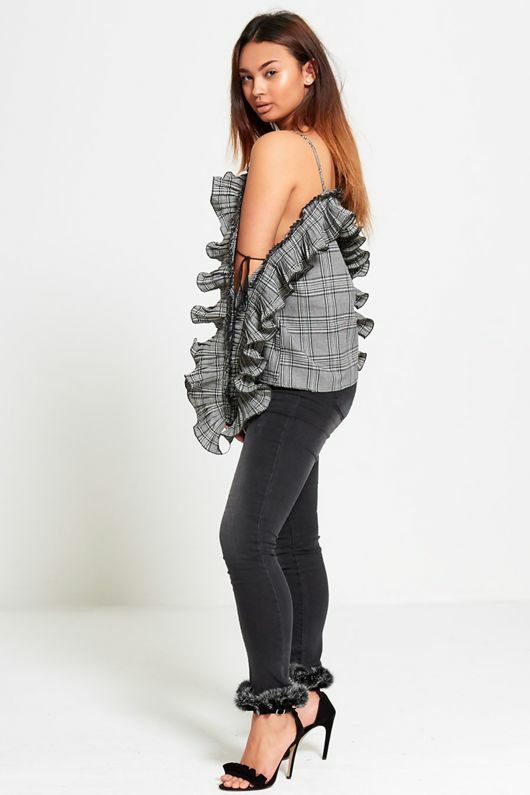 Team with our gingham ruffle sleeve top and frill heels.